In this article I'm going to reveal how people make extra money parking domains they don't use or can't find a proper buyer. Probably you've seen once a while browsing the Internet and specific addresses having only "Premium Listings" or "Ads by Google" on their pages. I tried domain parking, yes I've been through this as well, I never miss something which sound "easy way to make money", but as you an guess easy is not that true, maybe at the first sight. Basically you make money if you have visitors coming to that domain, in case you don't have visitors you will earn a lot of nothing. :)) Excuse-Moi! But this is the truth guys. Lots of ways to make money we read, sound easy if you just think about it, however when you start developing and starting measuring analytics over a period you find out, somehow, definitely you don't know why, but you failed to earn money easy. When you see "Ads by Google" on blank pages and no other content, keep in mind those domains owners has "parked their domains to earn extra money" on big domain parking networks such as Sedo.com , to be frank this this is the best company, very reliable and trust worthy. 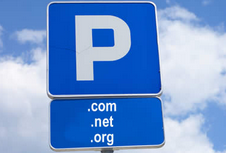 The question is how much you make from parking your domains? Well that depends on how much traffic your domains gets. If you have couple hundreds per day I can estimate $20-$30 per day, if you have more of course you earn more, if you have less you make less.